YouView - subscription free, but will you need a special broadband package to see it at its best? 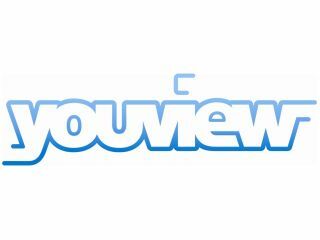 YouView has insisted that internet service providers should see the impending arrival of the IPTV service as a 'growth opportunity' rather than worrying about the amount of bandwidth it will use. The likes of the BBC iPlayer and YouTube have already led to grumbles from the ISPs that they are being left to pay the cost of more people using internet connections to stream video. But YouView could potentially increase that bandwidth use hugely should the IPTV project that is aiming to replicate the success of Freeview become a hit. This is all wrapped up with an on-going debate about two-tier services, in which content providers and ISPs pay extra to the major network owner BT to prioritise video traffic though Cisco kit and bring it up to a better quality. Speaking to TechRadar, a YouView spokesperson provided the company's stance on bandwidth. "The internet has previously risen to the challenge of meeting increasing bandwidth requirements and the take-up of IPTV services in the UK is a growth opportunity for ISPs as they continue to invest in networks," said YouView. "People will be streaming more content generally as IPTV services take-off and we expect to see ISPs providing new or improved broadband plans designed to support these – including YouView. "YouView will also uniquely support a great range of technologies to reduce the bandwidth needed [including] IP multi-cast capabilities [which] will reduce the overhead of delivering a large number of simultaneous streams," the statement continued. "This means that more people can watch a programme with minimal bandwidth requirements. "The seamless integration of local recordings means that people will have the option to play content from their local hard drive to reduce the need for streaming. "YouView will deliver the best quality at the lowest bitrate using Adaptive Bitrate technology plus systems that allow ISPs to use edge-caching technologies will be supported." BT was one of the loudest complainants about the extra traffic that online video use was generating on its network last year, but it recently unveiled Content Connect - a system BT is wholesaling to ISPs that means they can prioritise video traffic to ensure a degree of quality, and charge content providers a fee to do so. ISPs that offer Content Connect could potentially ask for more money from consumers in order to cover the cost of this, or face the difficult decision of not paying for the technology and not offering the higher quality video service. Further to this, we could potentially see independent channels and community stations on YouView not able or prepared to pay the necessary Content Connect fee and therefore miss out on streaming at decent bit rates for SD, let alone HD. Of course, it comes down to money – the ISPs that use Content Connect will not want to cut profits, the content providers will have to choose between quality of service and cost, and the consumer will no doubt be offered an even more confusing range of internet packages. And if the only way to get a good quality YouView service is to pay for a special broadband package with Content Connect, then describing it as being subscription free begins to look even more tenuous. It's an argument that is at the heart of the ongoing debates around net neutrality and big companies using their clout (both financial and other) to benefit. Although it is perhaps the most high-profile UK IPTV service, YouView is at pains to point out that it does not influence broadband packages, and will not exclude anyone from accessing the service regardless of their internet package. But although consumers won't need to worry about extra equipment because of Content Connect, we could see a two tier system in both programme quality and ISPs, as the haves pay up, and the have nots provide a lesser service.